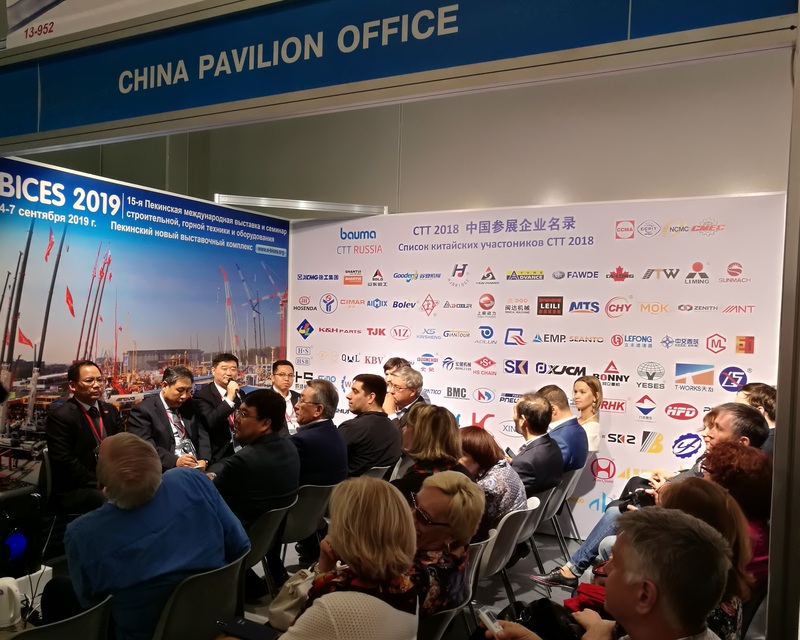 BICES 2019 Moscow press conference was successfully held on June 6, 2018, the second day of Bauma CTT Russia 2018 at China Pavilion office that was led by China Construction Machinery Industry Association (CCMA). 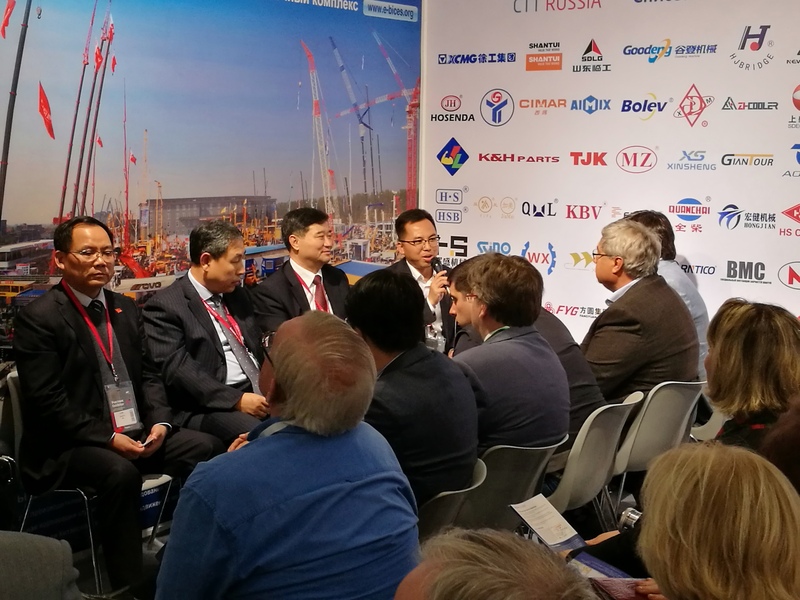 The conference, hosted by Mr.Zhou Weidong, vice chairman of Machinery Sub-Council of the China Council for the Promotion of International Trade, was presented by more than 20 medias and organizations from Russia, Kazakhstan, Italy, German and China. Mr. Su Zimeng, executive vice president & secretary general of CCMA and Chairman of Board of BICES Show, briefed the media and guests about the advantages that Chinese construction machinery industry achieved in the past four decades of reform and opening up on technology, products, management, and service of construction equipment, and explained that BICES is the show that witnessed and accompanied the development of the China construction machinery industry, and will not only showcase the latest technology and equipment, but also acts as a platform of communication, trade and co-operation between exhibitors and visitors. Mr. Su highlighted the 30th anniversary of the BICES exhibition in 2019, which will give full play to its multiple advantages as a Chinese industry exhibition and Beijing capital-based territory, and continue to work closely with industry enterprises and domestic and international supporters in promotion and recruitment of both exhibitors and visitors. Together with partners, BICES 2019 will continue to set up and expand featured equipment show area, such as the exhibition areas of machinery for excavation, aerial work platform equipment, and 4-stage emission equipment. 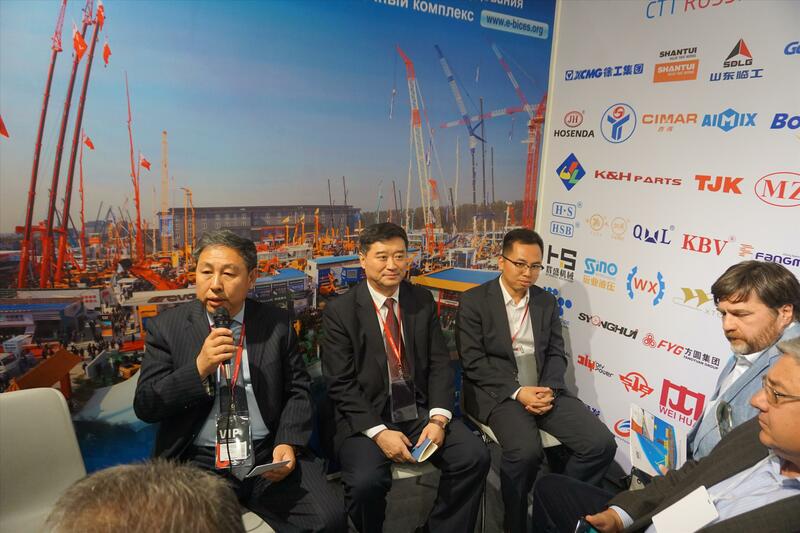 Meanwhile, variety of industrial events and conferences will be organized during BICES 2019, like World Top 50 Construction Equipment Manufacturer Summit, One Belt & One Road International Construction Machinery Forum, the Investment and Management Conference for China Parking Facilities, 2019 Global Aerial Work Equipment Summit and 100 China Top Leasing Enterprise Reward, China Construction Machinery Marketing Salon, Construction Machinery E-Commerce Conference, BICES China International Construction Machinery Innovative Products Reward, CCMA Seminars on Emissions and Regulations, and various equipment and components promotion and presentations by exhibitors, all will attract and welcome participation from both international and domestic attendees. Mr. Ma Xiaokou, Deputy General Manager of XCMG Import and Export Co., Ltd., shared with the media and guests about XCMG Group's comprehensive intelligent transformation and upgrade plan for smart manufacturing platforms, smart devices, intelligent services and intelligent management information systems in recent years. With such intelligent transformation, XCMG achieved outstanding revenue of nearly 60% year-on-year growth in main revenue in 2017 and 350% year-on-year increase in 2017 profit, and the strong growth trend of 61.5% in the first half of the year from January to April in 2018. 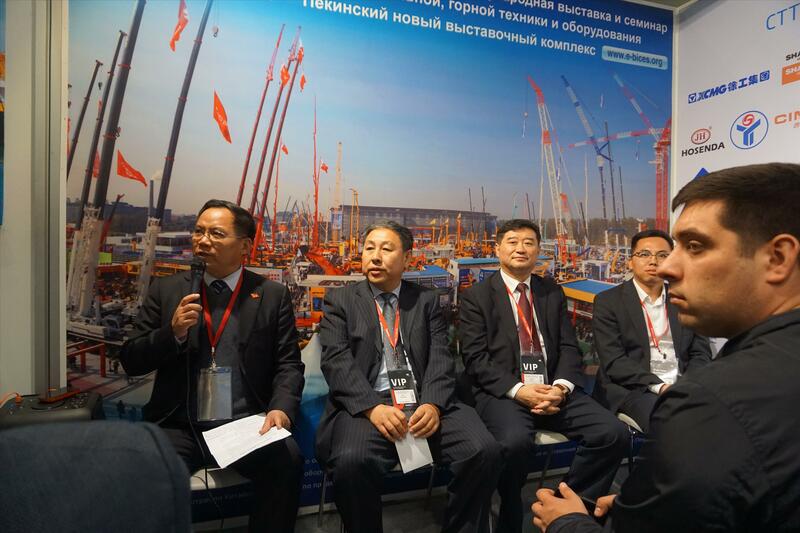 In the end, Mr.Ma Quoted a Chinese saying that seeing is much better than words, and through the participating international media and organizations, he sincerely invited Russian and international audiences to visit the BICES 2019 exhibition and XCMG stand where XCMG will showcase their latest series of constrcution and mining machinery equipment. Mr. Wang Xiaohui, Assistant to General Manager of SDLG and General Manager of Import and Export Corporation, briefed the media and guests on the fact that Shandong Linqin is a well-known construction machinery company in China and around the world. It has now formed loaders, excavators and road construction machinery as the three major construction machinery products and business segments. SDLG group's sales revenue has reached RMB 20.6 billion in 2017, which is a year-on-year increase of 50% than 2016, and profits and taxes have increased by 95.8% year-on-year in 2017. At the same time, SDLG established global agents and distribution channels in 79 countries and regions by the end of 2017 , and set up 3 global parts warehouse and service centers. On behalf of SDLG, Mr. Wang Xiaohui warmly welcomed all the Russian and international media representatives and organizations to invite users and visitors of Russian and international engineering and mining equipment to visit BICES 2019 in Beijing and SDLG booth.